Up until Apple unveiled its new MacBook Air, the choice of which computer to buy was much easier to make. The old MacBook Air wasn't a good option recently considering its old specs and relatively high price tag for those specs. The only realistically good Apple laptop option was the MacBook Pro, or maybe the MacBook if you really valued portability. 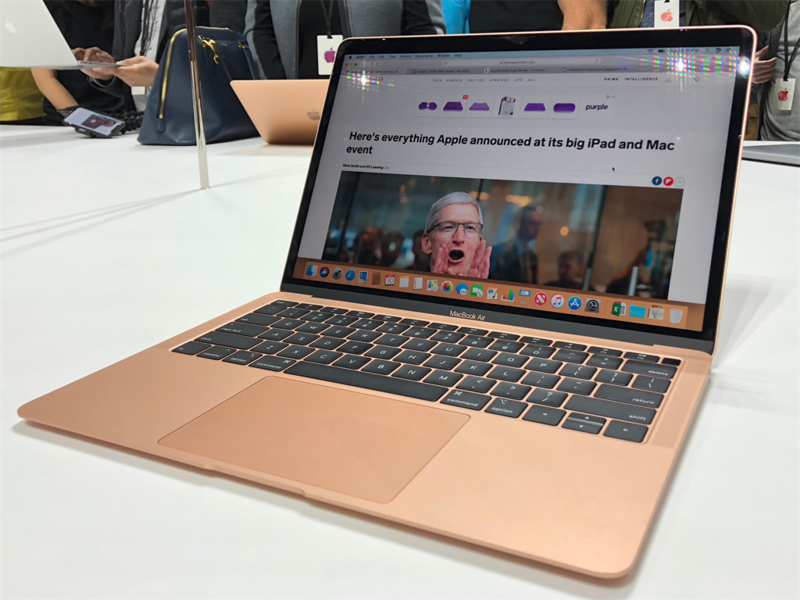 But now that the new MacBook Air is here with refreshed specs, features, and design, there's finally a viable option that's not the MacBook Pro. 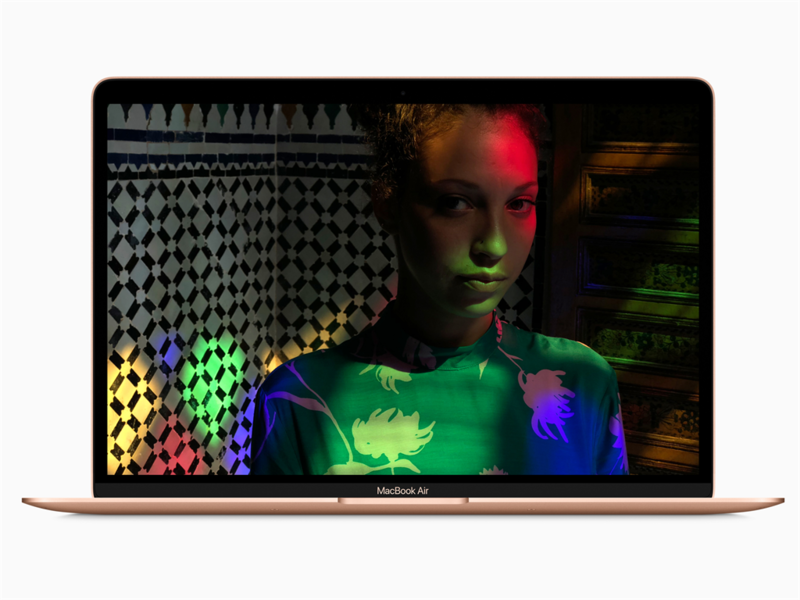 The new MacBook Air offers a lighter weight and a slimmer overall design for a lower price tag than any MacBook Pro. The MacBook Air's design is a mix of the original MacBook Air and the MacBook Pro. The overall design of the new MacBook Air is pretty similar to the original's design, except for the display area, which has gotten a MacBook Pro treatment with narrower black bezels. Both the new MacBook Air and MacBook Pro have the same size 33cm displays. Both laptop displays also have the same sharpness and resolution, but they're not the same quality. The new MacBook Air has the same 2560 x 1600 Retina resolution as the MacBook Pro. The main area where the two displays differ is in their features. 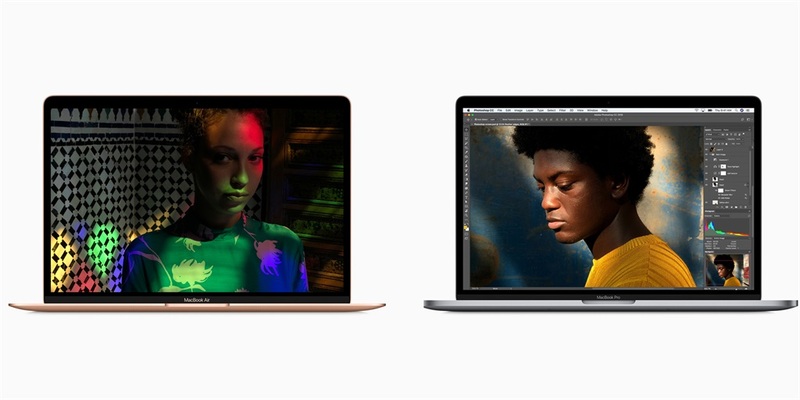 The MacBook Air's Retina display is way better, with 48% more colour than the original MacBook Air's display. 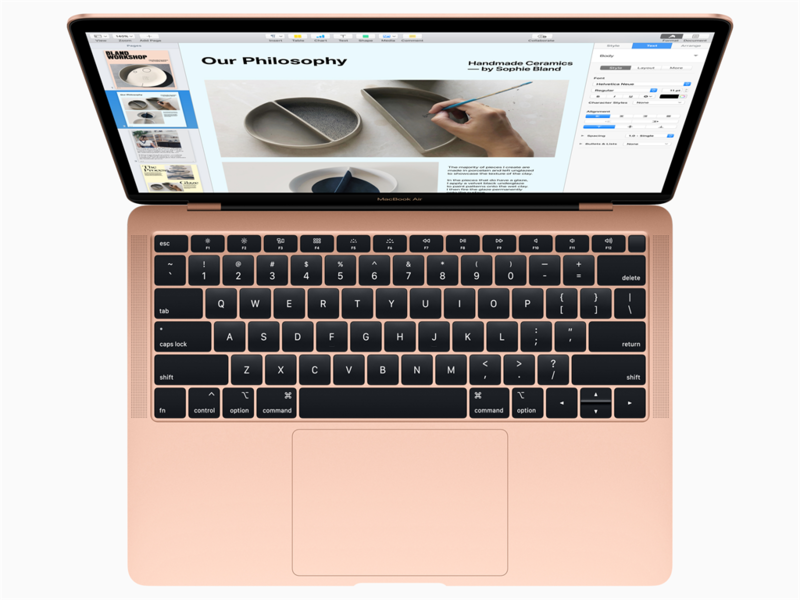 But it's not quite as good as the MacBook Pro's, which has Apple's True Tone technology that adapts the display to the type of lighting in a room for a more "accurate and natural" viewing experience. The MacBook Pro's display also comes with better colour, according to the specs. At the end of the day, it's likely that only professionals would really notice the MacBook Pro's additional colour depth and True Tone. The MacBook Air's display will surely be fine for the majority of users. The MacBook Air has a less powerful processor chip, and can't be upgraded. The MacBook Air comes with a dual-core 8th-generation Intel chip, and you can't upgrade to a more powerful chip with four cores. The cheaper MacBook Pros from 2017 come with Intel's 7th-generation dual-core Core i5 chips. You can upgrade to a more powerful dual-core Core i7. 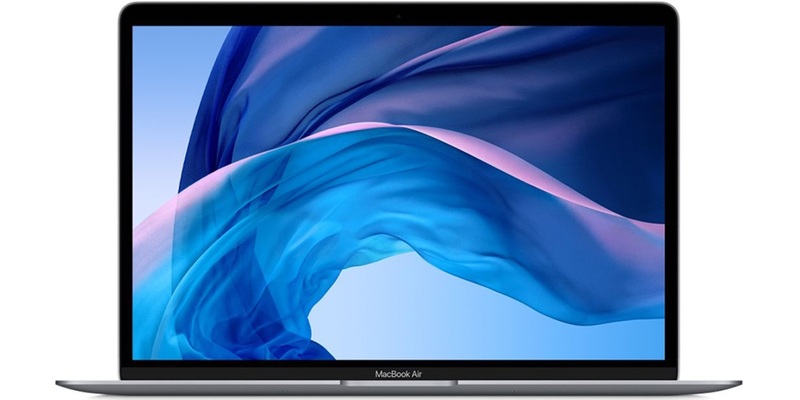 The recent 2018 MacBook Pros come with Intel's 8th-generation quad-core Core i5 chips as standard, and can be upgraded to quad-core Core i7 chips. It's hard to tell whether the new MacBook Airs are as powerful as the 2017 MacBook Pros. It's pretty much a guarantee that the 2018 MacBook Pros are more powerful than the new MacBook Airs, but we'll still need to wait for thorough testing to know for sure. However, the new MacBook Air seems to hold its own. 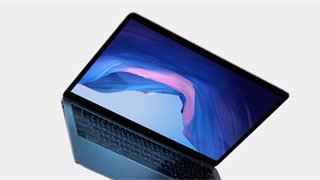 YouTuber Kraig Adams told 9to5Mac that the new MacBook Air could absolutely be his primary editing machine after testing it out. Both laptops come with the same 8GB of RAM, and have the same 16GB upgrade limit. The new MacBook Airs have a Touch ID sensor, whereas only the more expensive 2018 MacBook Pros have a Touch ID sensor. 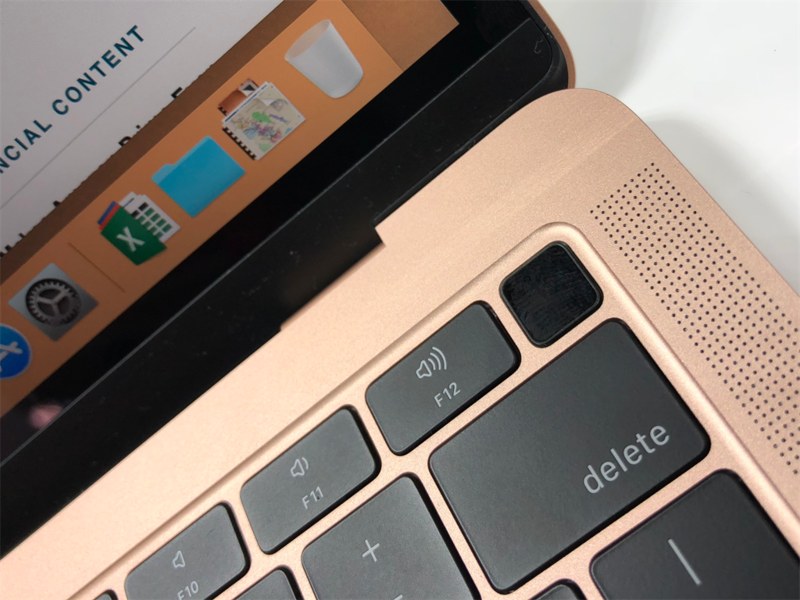 All new MacBook Air models come with a Touch ID fingerprint sensor, which is more useful than you think if you've never tried it. Just imagine never having to type your password again to unlock your computer. Same thing for your phone: Could you imagine having to use your PIN code every time you want to unlock your phone? As for MacBook Pros, only the 2018 Touch Bar models that start at $1,800 (just shy of R26,000) come with a Touch ID sensor. 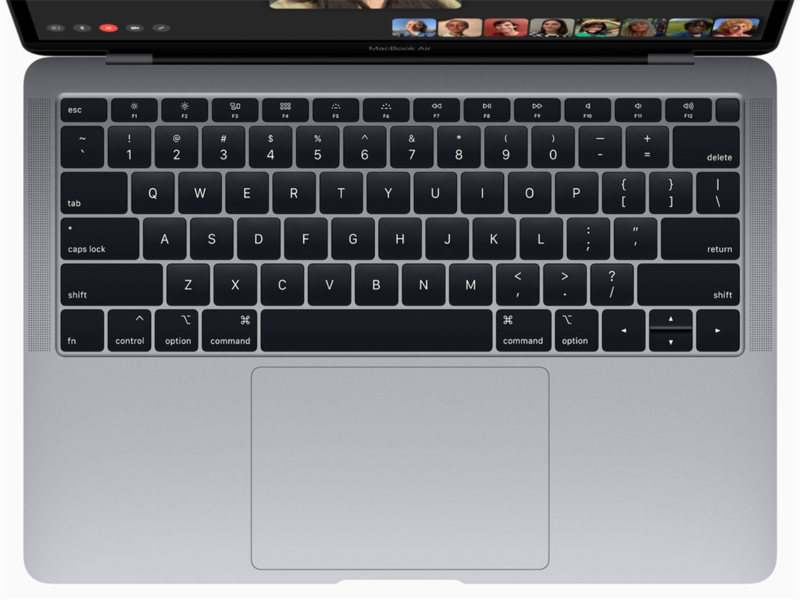 None of the new MacBook Airs have a Touch Bar. While the new MacBook Airs have Touch ID sensors, none of the available models come with a Touch Bar. That's fine, though, as the Touch Bar hasn't proven itself to be a particularly must-have feature. Both laptops have similar storage options. You get similar storage options on both MacBook Airs and MacBook Pros, give or take 500GB in the configuration options for each model. The MacBook Air has better battery life. According to the spec sheets, the new MacBook Air can last for up to 12 hours of web browsing while the MacBook Pro can last up to 10 hours. The MacBooks Air isn't that much lighter than the MacBook Pro. The MacBook Air weighs in at 2.75 pounds (1.2kg), and the MacBook Pro at 3 pounds (1.36kg). It's a 0.1kg difference, which is noticeable, but isn't too significant. It's not that the new MacBook Air is heavy, but rather the recent 33cm MacBook Pros are already so light to begin with. With that said, the new MacBook Airs are a little lighter than the original model, which weighed in around 2.9 pounds (just over 1.3kg). 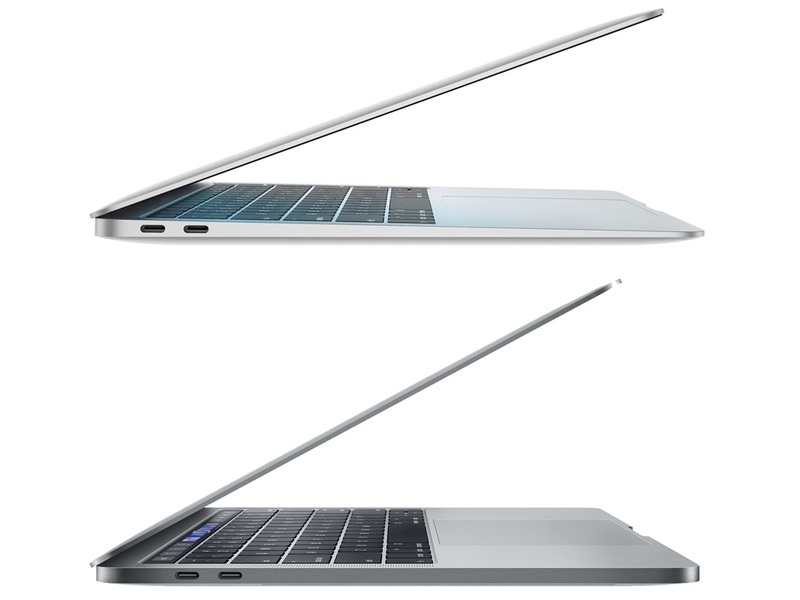 The MacBook Pro is actually slightly thinner than the MacBook Air at its thickest point. There's a 0.02-inch (0.5mm) difference between the MacBook Pro and the MacBook Air at their thickest points, with the MacBook Air surprisingly being the thicker model. 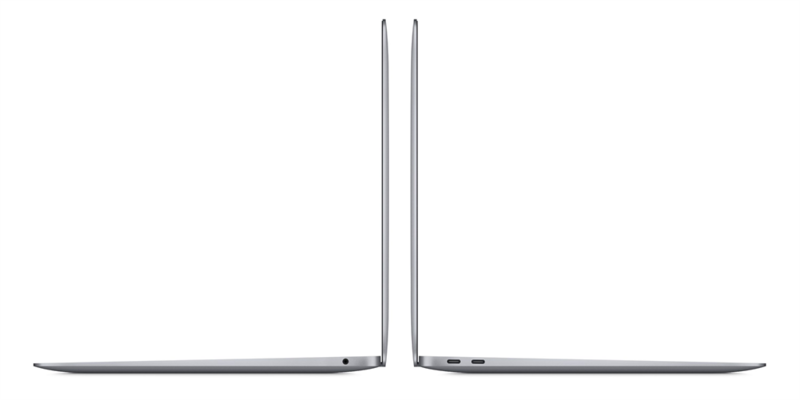 At its thinnest point, the MacBook Air is only 0.16 inches (just over 4mm). But overall, the MacBook Air takes up less volume than the MacBook Pro. The MacBook Air and MacBook Pro have the same number of USB-C ports. 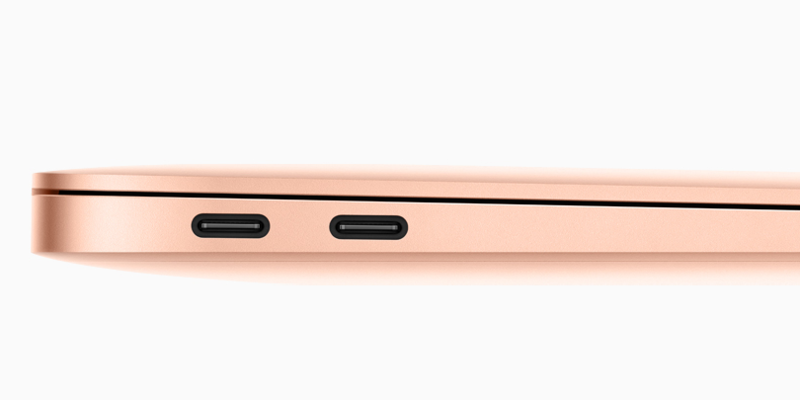 You'll find the same two USB-C ports on the left of the new MacBook Air as you would on a MacBook Pro. The headphone jack is also on the right of both models. So-long, regular old USB-A (and anything else, for that matter). Both laptops have similar keyboards and trackpads. 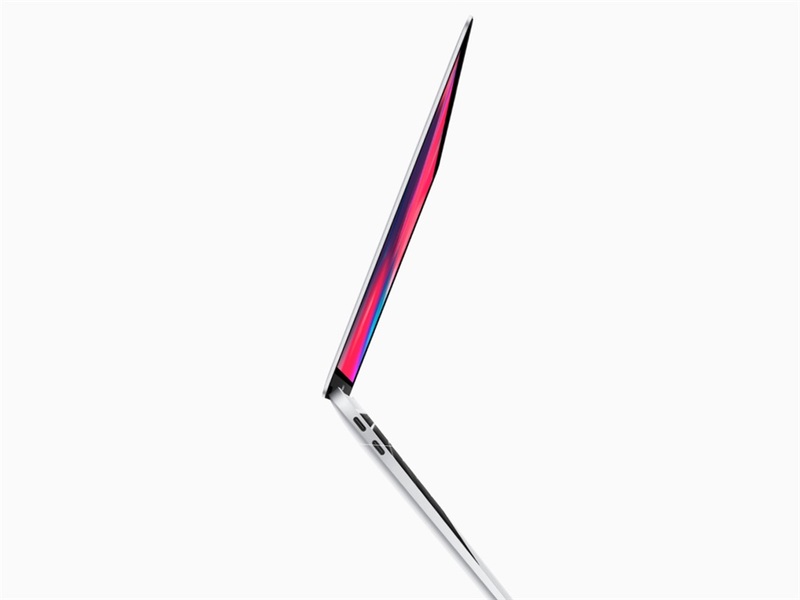 The MacBook Air has adopted Apple's ultra-slim butterfly keyboard from the MacBook and MacBook Pros. 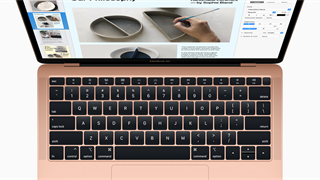 Specifically, the new MacBook Air has Apple's third-generation of butterfly keyboard, which is designed to be quieter and more reliable than the first-generation of butterfly keyboards. 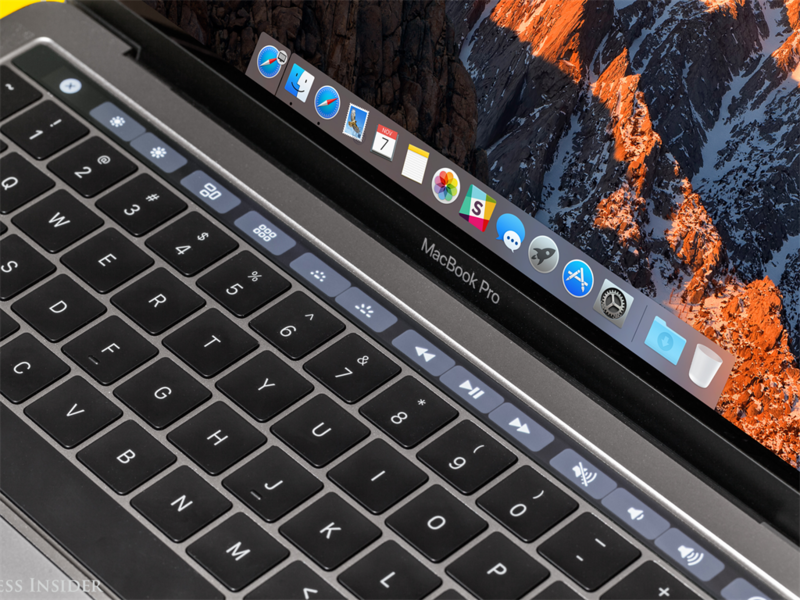 The cheaper MacBook Pros from 2017 have Apple's second-generation butterfly keyboard, which have seemingly been more reliable than the first generation. Both laptops can connect to the same number of monitors at 5K and 4K resolutions. 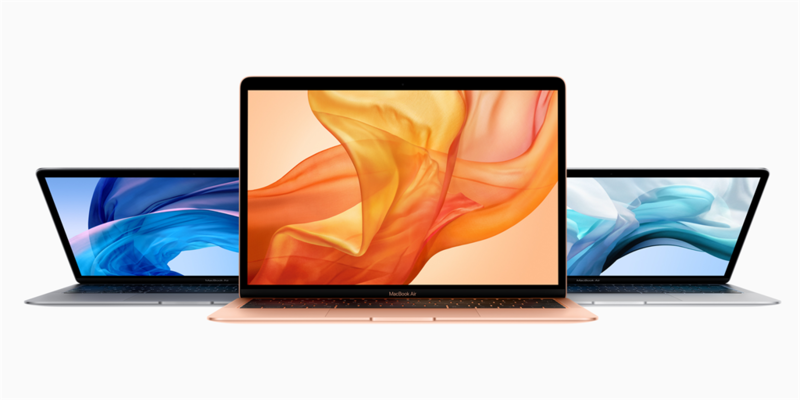 The MacBook Air can connect to one external display with 5K resolution at up to 60Hz, and up to two external displays with 4K resolution at up to 60Hz. The same goes for MacBook Pros. The MacBook Air is overall cheaper than the MacBook Pro. You can see details of the pricing for the new Macbooks and iPads in SA here. The short version: the Macbook Air will start at R21,500, and the Ipad at R25,000.